These old-fashioned flowers may have been at the forefront in your grandmother’s garden. But, their renewed popularity is no surprise, considering their attractive foliage, flowers, and scent. 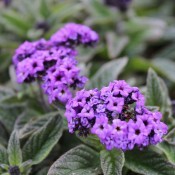 Very few bedding plants have Heliotrope’s reputation for fragrance. Reminiscent of vanilla, the Heliotrope’s scent gave rise to its common name used years ago: the cherry pie plant. Heliotrope can be used for mass planting and beds. But ideally, it is best grown in window boxes and containers and place on patios where the fragrant flowers can be enjoyed. 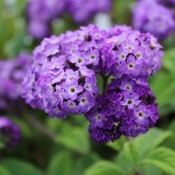 Combine Heliotrope with yellow or white flowering plants, or plants with burgundy leaves for a striking colour contrast. It attracts hummingbirds and butterflies to your garden. 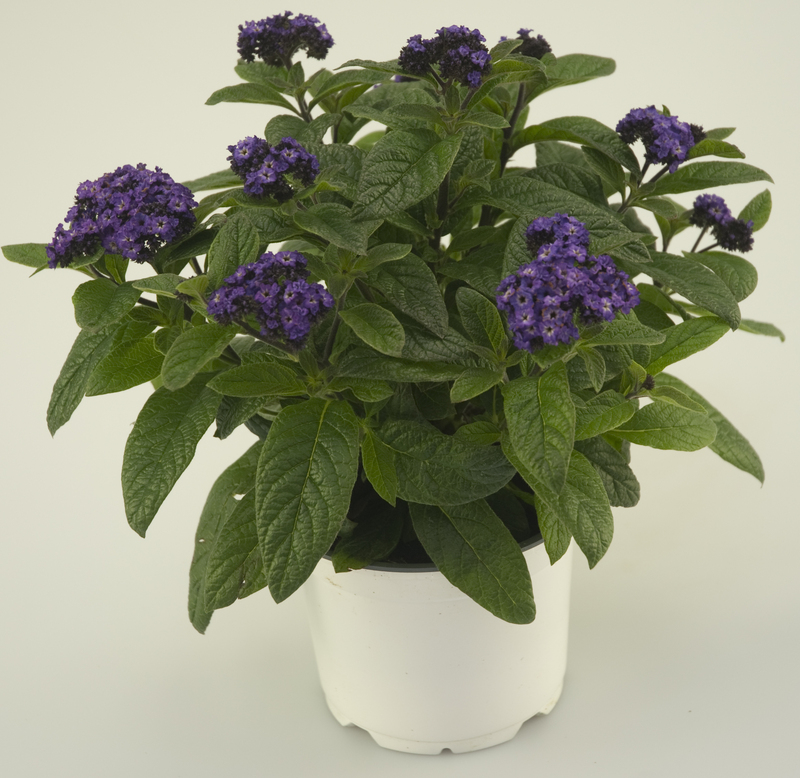 Heliotrope Cool Blue can tolerate cooler temperatures than most other Heliotropes. It has a wonderful fragrance and beautiful vibrant blue flowers. This compact and semi-trailing bloomer attracts butterflies and hummingbirds. Excellent for hanging baskets, mixed containers, window boxes and planters. Sachet is an improved form of Heliotrope, with a sweeter vanilla fragrance and deeper bluish-green foliage. Ideally suited for sunny beds, patios, and window boxes. Butterflies are attracted to the garden by this plant.